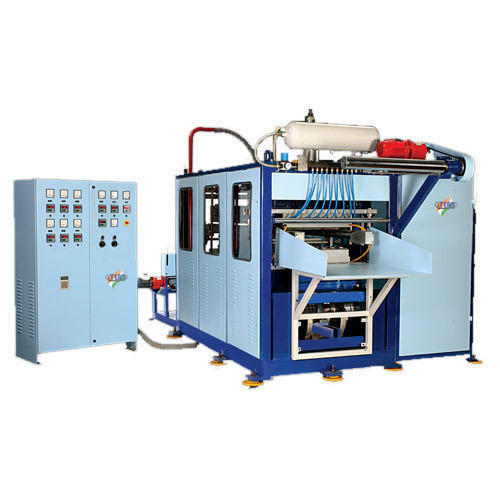 Prominent & Leading Manufacturer from Bengaluru, we offer servo driven thermoforming machine, tilt thermoforming machine, single cam thermoforming machine, servo crank thermoforming machine, double cam thermoforming machine and thermoforming machine. The TEAM tilt technology is a electronic conjugate cam mechanism which provides a rugged, high speed forming platform for a reliable and repeatable thermoforming process. The platform rotates 75 degrees is propound of the frame allowing for ease of product ejection into robot picking mechanism. High speed and high precision clamping mechanism The toggle design and servomotor realize high speed and highly precise clamping. Their combined efforts bring about higher productivity of the running cycle. Through the use of servo motor drives, operations such as mould opening closing and forming achieve superior performance while realizing excellent repeatability and stability. All axes are designed without compromise for the fully servo drive. In the main the forces are transmitted through gears and lever mechanisms. Each axis is closed loop controlled with high precision and can be activated entirely in parallel. 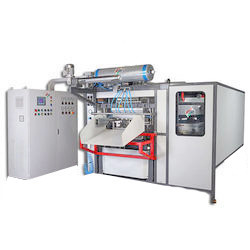 We are reputed manufacturer, exporter and supplier of highly efficient Single Cam Thermoforming Machine. 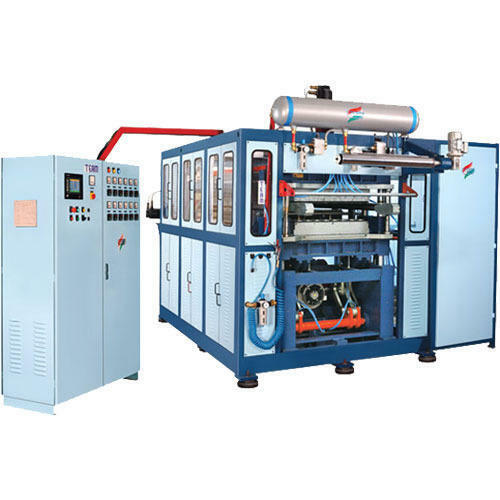 We have used finest grade material and highly advanced components to produce these machines. Ideal for processing flat or semi rolled polypropylene sheets these machines ensure minimal cavities with its cam and follower system. Our valued clients can order these high performing machines from us at the best price. With the support of astute professionals, we are involved in manufacturing and supplying high performing Servo Crank Thermoforming Machine. 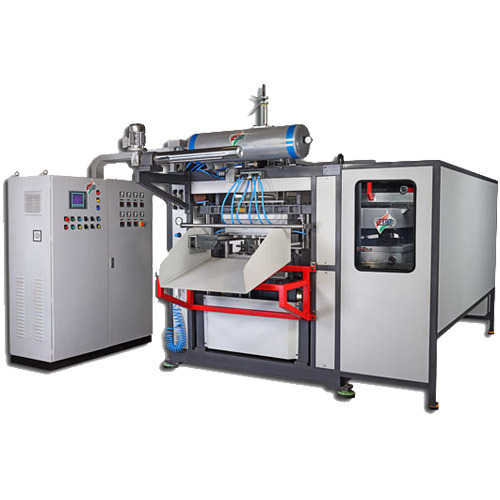 While maintaining the international standards of good manufacturing practices, we have developed this next generation thermoforming machine that is equipped with servo motor technology. Operates on a hi-tech crank lever mechanism, this machine can be ordered at an economical price range. 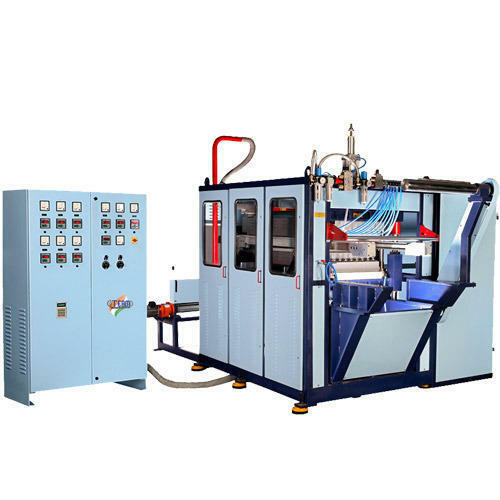 Our well appreciated Double Cam Thermoforming Machine is manufactured by using cam and follower mechanism. 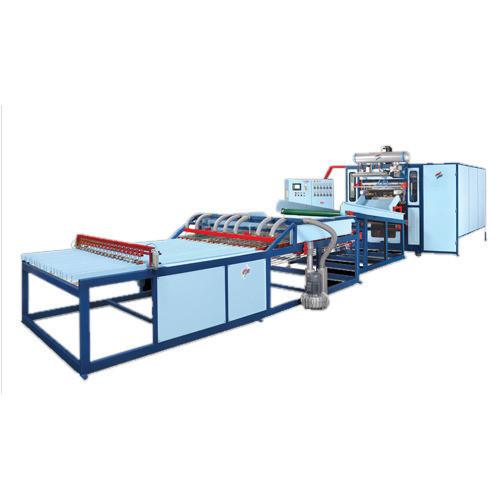 This machine performs exceptionally well in the process of cutting flat or semi rolled material. 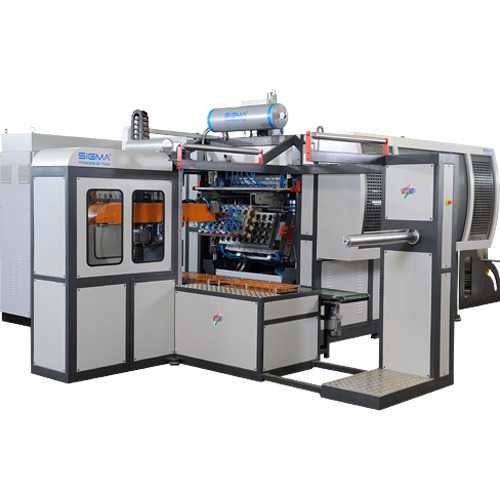 Equipped with built in punching dies, this machine can be obtained from us at the best price in the industry. The mechanical drive guarantees repetition of forming and cutting cycles, with absolute accuracy of time, speed and quality. Indexing of plastic sheet is controlled by a toothed chain to minimize wastage. Ceramic heaters are controlled by PIC temperature controls. Lower heating bank with PP controls is also available. 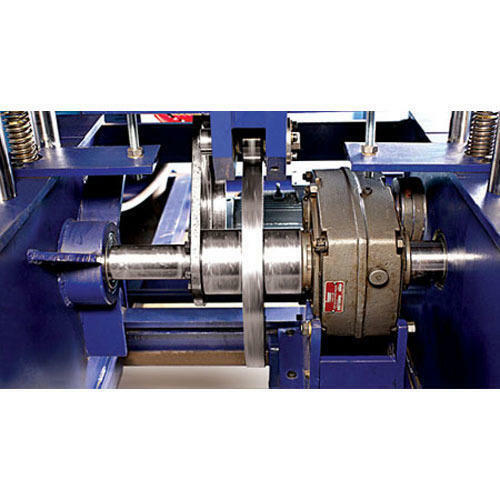 Reel holder with automatic unwinding and wastage rewind units are standard features. We have wide prowess in manufacturing, supplying and exporting Thermoforming Machine. Our offered machines are engineered to provide superior thermoforming performance, while lowering the operational costs. This machine is developed with a non-rotatable container and superior clamping force, which is ideal for repetitive forming processes. We have complete allegiance in manufacturing and supplying highly demanded Cam Follower Mechanism. This energy efficient and high performing mechanism is implemented in our offered double cam thermoforming machines. Ideal for minimizing cavities in processing, this highly advanced cam follower mechanism can be obtained from us at an equitable price range. 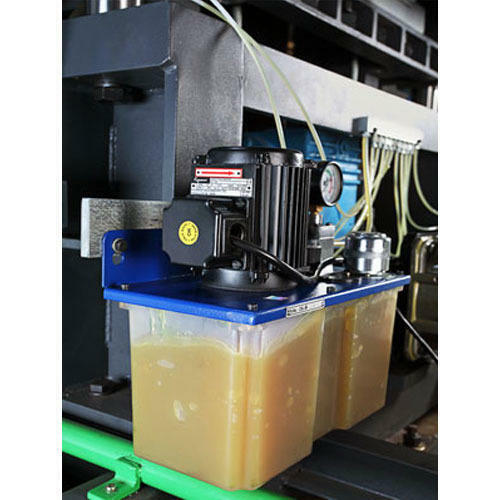 Our offered Closed Lubrication System has gained huge acceptance from our valued customers for its capability to ensure that the mould compartment remains free of lubricant. We have installed quality approved slide bearing bushes that are sealed and placed at the lever mechanism. This helps to guarantee that the mould compartment is free of any sort of lubricating susbtance.